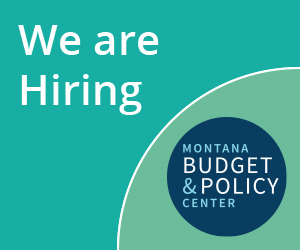 In 2003, the Montana Legislature passed a capital gains tax credit that benefits a very narrow portion of our population at the great expense of our collective ability to adequately invest in public programs, from education to health care. Currently, Montana is one of just nine states offering a significant tax break for capital gains income. Since 2003, this tax break has proven to be unaffordable, unfair to working-class Montanans, and has not helped the economy. >> Read MBPC's updated report here.